January 7, 2019 · OK! Duchess Meghan is adding personal touches to the nursery for her and Prince Harry’s first child. 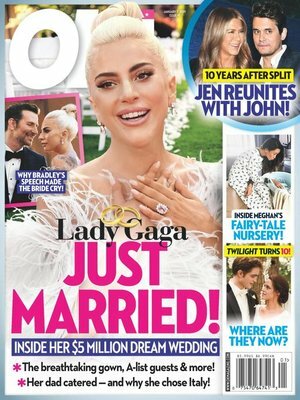 From the gown to the guest list, Lady Gaga is going all-out for her and Christian Carino’s Italian nuptials, sources say. Ten years after its premiere, get an update on what the cast of Twilight is up to now.